Being a gladiator in a two-bit arena in a dusty city on the edge of an empire may not be the life she expected when she ran away from home, but it’s better than being married off to a monster. Freedom is her ultimate goal—but she’s owned by her gladiatorial school. And being one of its best fighters means she can’t just walk out the door. Beta sees a way out when a stranger arrives, and the owner of the school makes a bet he can’t afford to lose . . . but can’t possibly win without her. Playing against the odds, she takes a chance and soon finds herself fighting in a new set of games against opponents unlike any she’s faced before. Pitted against warriors with abnormal strength and astounding speed, and unsure who’s friend and who’s foe, she fights just to stay alive. 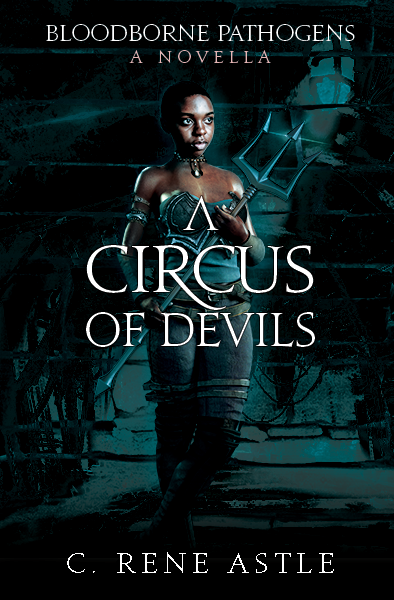 But winning in the Circus of Devils might cost her everything.